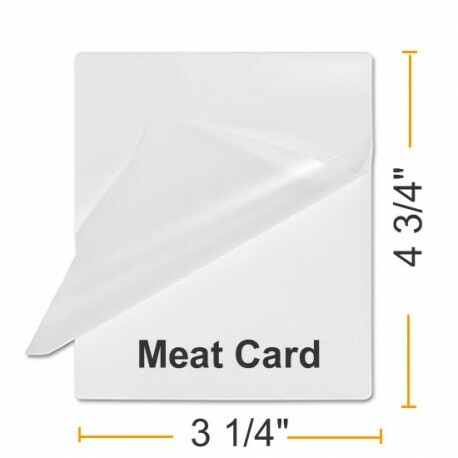 Pouch Measures 3 1/4" x 4 3/4"
Meat Card size laminating pouches can be used for an number of applications including protecting printed materials. Laminating sleeves are intended to be used in a pouch laminating machine. 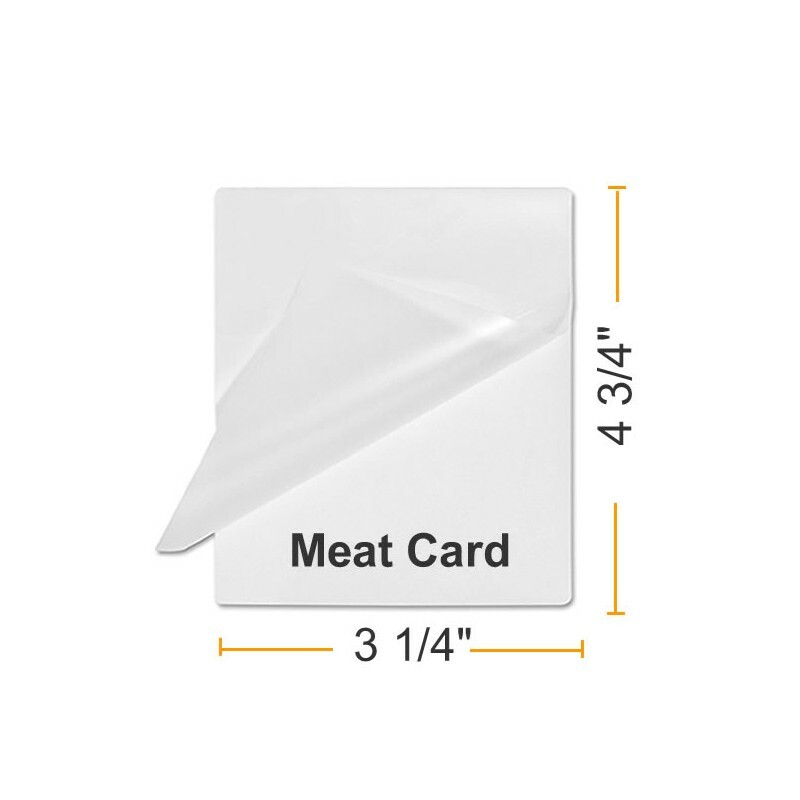 These laminating pouches are sealed on one edge for your convenience. The document or item is placed inside the laminating pouch and placed in the pouch laminator machine to seal. Pre-trimmed - no cutting, no waste. Made from high quality laminating film.